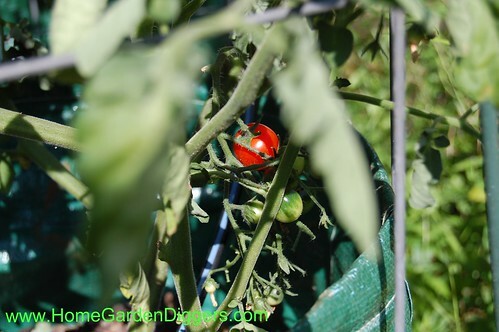 Tomatoes In Grow Bags Update Season 2 – Another season with the grow bags I tried last year? I thought I would give an update about how things are going this year. In an earlier post I noted that I was using a heavier and more enriched soil in the grow bags because they had dried out so badly last year. So far I can say that this seems to be working, although we have not had the intense heat as other parts of the country. I also tried layering compost and soil vs mixing them together. So far there doesn’t seem to be any difference between the two in how well the tomatoes are growing. They are doing quite well. The only thing that seems o have made a difference is whether I used grow age vs pots. The tomatoes in grow bags are doing much better than the ones in pots, which have more space growth and one is yellowing. The only thing I can think of is that the pots may ot be draining as well as the grow bags. The number of tomatoes growing is sparcer as well. Still they look pretty good. I have seen some evidence of fungal problems, but I keep cutting those off. So far I am fairly happy. So here are the tomatoes. Most of the tomatoes are huge and are taller than the cages. This is going to be fun to control them as the season progresse. I wonder if they got too much nitrogen? Here are some of the tomatoes I have growing on the vines. Is that a little bit of color I see? And some more tomatoes setting fruit. Getting big too. This might just be a good tomato year. And here I have one ripe tomato on the Sweet Millions. For some reason the fruit are very tiny on this plant, while the other Sweet Millions has cascades of large fruit. No idea why. I harvested our single tomato and it was very sweet and good. Waiting for more. Thanks. The grow bags are interesting. This year is going better than last, We do love our tomatoes. 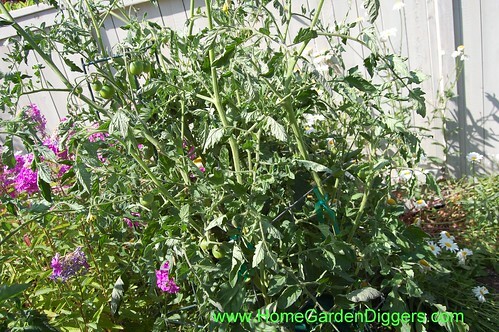 I have had good luck with potatoes and eggplant as well as some peppers in grow bags but have not tried tomatoes. I think that may be next as the ones in pots were OK but now yellowing from early blight I think. I use an organic potting mix, some compost and sand in my grow bags. Your tomatoes look so yummy. I tried potatoes in GrowBags last year and they worked pretty well. Got lots of really small potatoes, but my soils water retention was poor. This year I tried a heavier mixture, and it seems to be going fairly well, at least with the tomatoes. No potatoes this year. I’ve never tried these grow bags… looks like they work well! They are pretty interesting. We will see the final results later on. So far so good. How interesting – I have never tried grow bags before. They are different and another way of doing container gardening. So far so good. 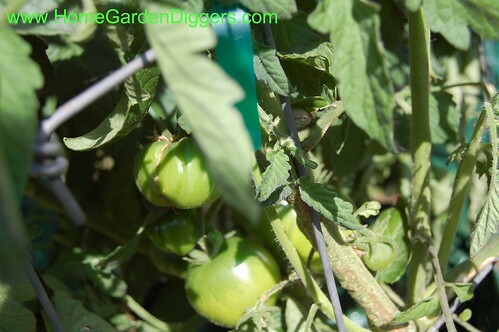 I really love my tomatoes whether in grow bags or in the ground. I’ve never tried grow bags. My husband grows them in containers. This year didn’t work out very well. I think while we were on vacay it got too hot and they didn’t get watered enough. Thanks for coming by and for your comment. Grow bags are interesting. I don’t think they would work well if lack of water were a problem because they do dry out maybe more quickly than other kinds of containers. I used a heavier soil mixture this year and it seems to be working fairly well. However we don’t have as much of the awful heat that some folks have had. Enjoy your tomatoes, Yael! They do look healthy. Mine are much taller than the standard cages too – I buy the extra tall ones from Gardeners’ Supply. Thanks. I have ones, also from Gardeners Supply that stack. However, I don’t have enough of them for everything I am doing in the garden to do this. I need more. Thanks. I have little non flower space in my garden. I hope to change this soon, but in the mean time I am doing containers like the grow bags for veggies. What a neat concept. We have just lately been enjoying the fruits of our labor. Picked us quite a few tomatoes over the weekend. Made a yummy Caprese salad and had them on hommade burgers one night. Nothing quite like a home grown tomatoe. Can’t wait to see how yours do. I have on Celebrity plant that is producing tin long tomatoes while the others are larger. Wondered if it had been mistagged. Thanks for sharing with Share Your Cup. I really like all the yummy things, like your caprese salad that I can do with my ‘maters. We are just starting to have them ripen. Can’t wait for the more. thanks for the info on the bags! I have never tried this before. I thank you so much for linking in this week. It is an honor to host Friday’s Flaunt and meet new friends and visit the regulars (who are like old friends) who share. I appreciate each and every link and comment! I have shared your post today with my facebook page for Tootsie Time. I hope you will link in again soon! Hi Yael: Thank you for the interesting comparison of tomatoes in grow bags vs. containers. 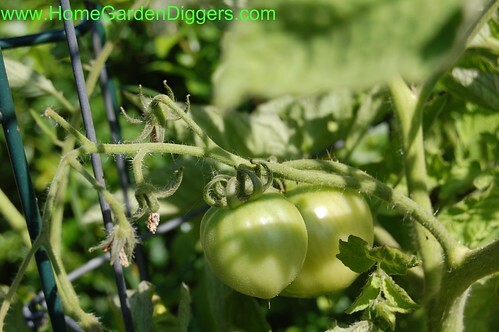 So glad they are growing well for you, and you’ve had a first ripe tomato–that is wonderful! 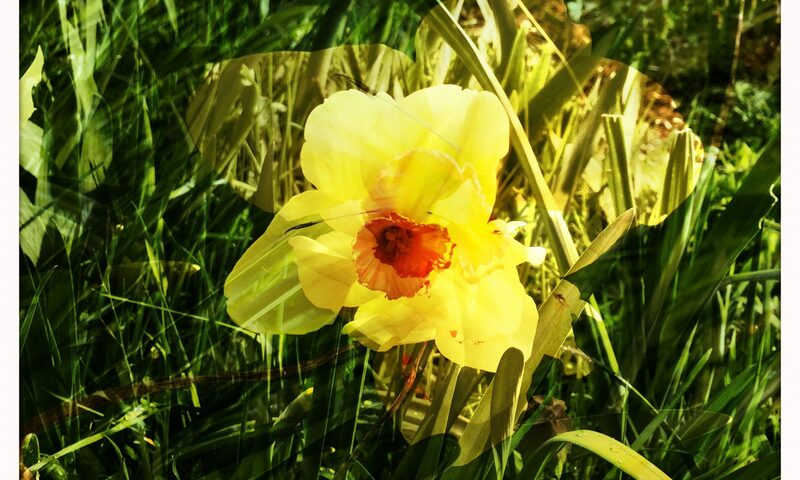 Thank you so much for stopping by my blog for a visit today–I appreciate it! Thanks. I have now started getting a flurry of the Sweet Millions cherry tomatoes. They are sooo sweet. I just harvested two Early Girl today and am waiting for a couple of Black Prince to ripen. This is the time of year I love. Hi Yael…I have never even heard of a grow bag so this is interesting but SPEAKING of interesting..
We mostly “wing it” with our preparation of the tomatoes and add basil or not, garlic or not, but always onions and drizzle olive oil. Glad you found the recipe. I forgot I had posted it.